Marigold Manor is a charming Bed & Breakfast reminiscent of a European Inn. 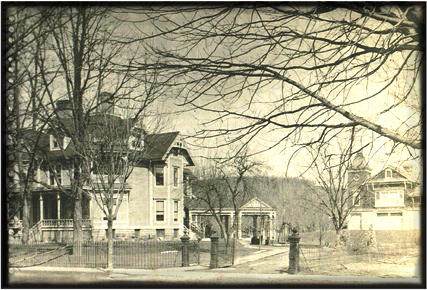 Located in Elkland, PA, this stately Queen Anne Victorian home was built by the C.L. 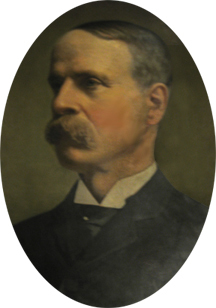 Pattison family in 1886. These local entrepreneurs greatly influenced the heritage and development of the borough of Elkland. From its vantage point in the center of town, this home, with its striking architecture and surrounding iron fence, provides an elegant landmark. Upon entering the impressive foyer, one is whisked back in time to an era of grace and gentility. Handtooled leather wainscoting surrounds the foyer walls and continues up the grand staircase leading to the guest rooms. The first floor features a library with glass encased bookshelves, a formal dining room, and music room with a baby grand piano that awaits anyone who wishes to play. A player is also available for a nostalgic touch. A variety of hand-rubbed woods dominate the interior. It is believed that members of the Salamanca Indian tribe were employed for a period of two years meticulously applying the hand-rubbed finishes. Other interesting features include six wooden fireplaces with overmantels, pocket doors, shutters which fold into the woodwork, hidden panels, stained glass window panes, and other attributes too numerous to mention. 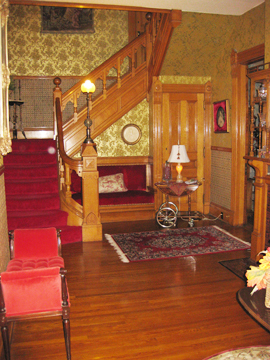 At the top of the grand staircase is the Nellie Bostwick Parlor, decorated with Victorian antique reproductions. The dusty rose settee and lady's chair on a red plush carpet provide a gracious setting for conversation. Guest rooms are located adjacent to this area. Marigold Manor offers 4 lovely guest rooms. To view detailed information about our guest quarters, click here. 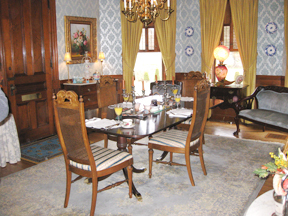 Included with your lodging is a full breakfast served in the formal dining room. When weather permits, breakfast can be served on the patio or porch. There are many places to visit within an hour of Marigold Manor. Click here for some great ideas.